On February 25, Syrian forces began their offensive to liberate the last major US-supported terrorist enclave in the country. Impressive progress was made after nine days of fighting, around one-third of East Ghouta liberated, supported by Russian airpower, care taken to minimize civilian casualties. According to AMN news, Syrian forces nearly split East Ghouta in half, the same strategy used to liberate East Aleppo in 2016. US-supported terrorists in the enclave are being systematically defeated. Reinforced Syrian forces are heading for the heart of territory they control. Russian forces are “kill(ing) innocent civilians under the false auspices of counterterrorism operations” – a bald-faced lie. Fact: Unanimously adopted Security Council Resolution 2401 permits continued military operations against ISIS, Al-Nusra, al-Qaeda, and elements connected them during a 30-day ceasefire through late March. Fact: US-supported terrorists in East Ghouta are killing and brutalizing civilians held captive as human shields. 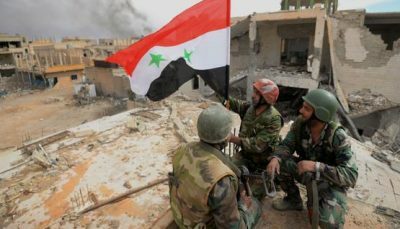 Syria’s campaign aims to liberate them, along with ending their ability to shell Damascus, a noble operation deserving high praise, not condemnation. Fact: US-supported terrorists alone used CWs numerous times throughout the war, not Syria. Fact: These elements are preventing humanitarian aid from reaching civilians in need – not Syria or Russia. The White House statement turned truth on its head – ignoring US-led high crimes against Syria and its people! East Ghouta could be liberated in weeks or sooner. As always, the wild card is what Washington may do. Will US forces intervene to prevent East Ghouta’s liberation? Will Israeli terror-bombing try to halt the advance of Syrian troops? On Sunday, Netanyahu arrived in Washington for a five-day US visit. He’ll meet with Trump and other administration officials on Monday before addressing the annual AIPAC conference. Last week, the White House put Russia “on notice,” regarding its East Ghouta campaign with Syria. It’ll continue until the enclave is liberated. It’s unclear what the Trump administration intends next. 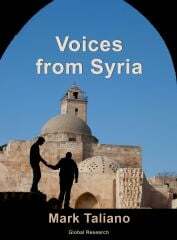 If US and/or Israeli warplanes attack Syrian forces in East Ghouta, will Russia defend them or do nothing? Separately on Sunday, Russian reconciliation center in Syria spokesman General Yuri Zolotukhin said terrorists in East Ghouta announced a curfew for civilians during daily five-hour humanitarian pauses – threatening to punish anyone violating them. Rallies and other forms of resistance were also prohibited – these actions taken to prevent anyone fleeing for safety to government-controlled areas. He accused Washington and its rogue allies of operating as an air force for ISIS, al-Nusra and other terrorists in the country – on the phony pretext of combating them. It’ll proceed until US-supported terrorists are eliminated and Syrians are again free from their scourge.